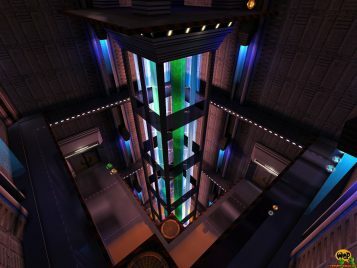 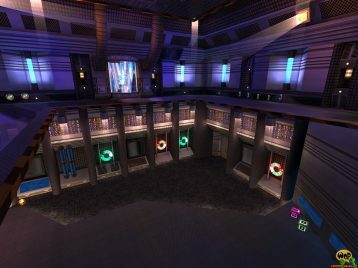 PadSpace is ENTE’s seventh map for Quake 3 Arena and represents a part of a space station with hangar and shuttle, an engine room, a control station etc., which are connected with corridors. 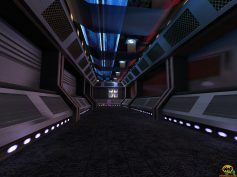 It is ENTE’s first science fiction based map and burst with colourful light effects, animations and a lot of detail, which provides a great atmosphere. 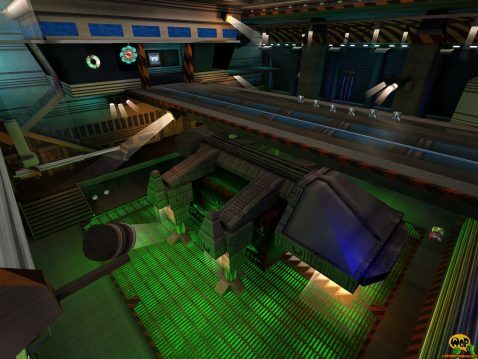 Here, for the first time the Swedish band Dieselkopf comes into one’s own with the provided music.